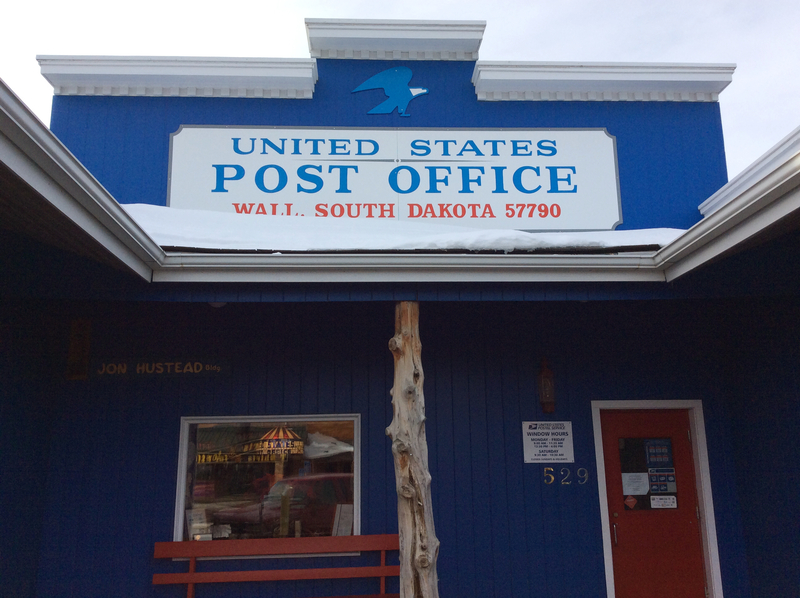 Post office in Wall, South Dakota by Michelle Loeffler. There are currently more than 31,000 post offices in the United States. Some are grand old ones that take up entire city blocks. Others are smaller—hidden away in the backs of general stores and in other odd places across rural America. 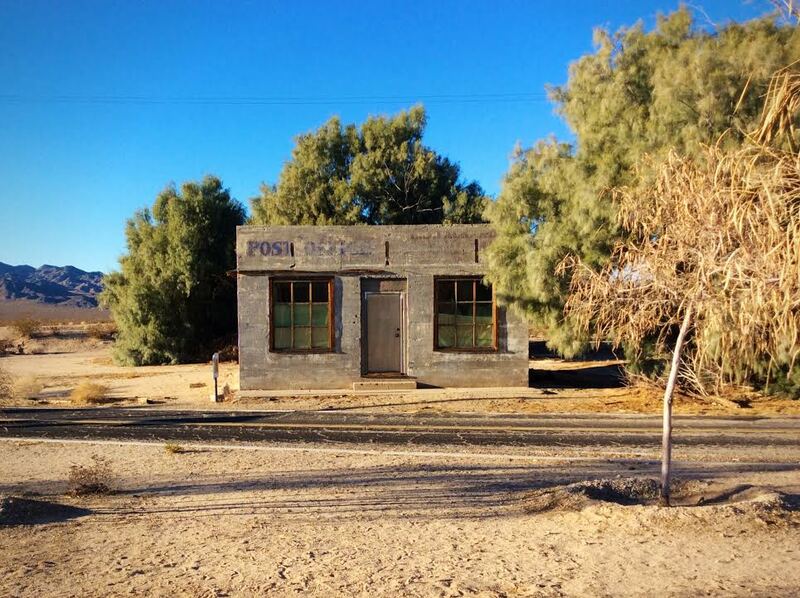 And one of these smaller ones may be the most rural post office in the continental U.S. The Supai post office is located at the bottom of the Grand Canyon. Every day, ten pack mules carrying mail make the two-and-a-half hour trip into the canyon. 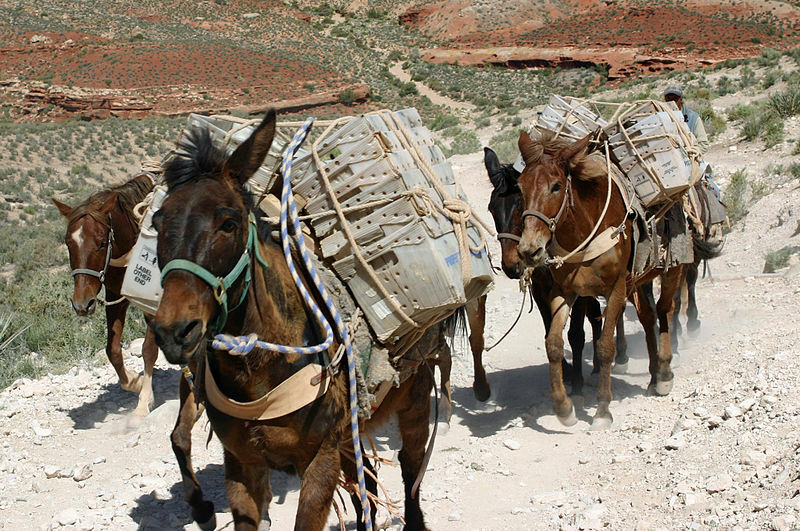 The post office is there to serve the people on the Havasupai reservation. The Supai post office was established in 1896, and its existence speaks to the lengths that the postal service has gone to since its founding to connect people to each other. Winifred Gallagher, author of How the Post Office Created America: A History, argues that the post office is not simply an inexpensive way to send a letter. The service was designed to unite a bunch of disparate towns and people under one flag, and in doing so, she believes the post office actually created the United States of America. For thousands of years, governments have devised ways of sending communications. But for most of history, these systems were used only by a small elite. The postal system of colonial America was much the same. The Crown’s post was established by the English monarchy and used primarily for communications between the colonies and England. For a while, the colonies themselves weren’t that interested in communicating with each other. They were, like fractious siblings, only seeking the attention of Mother England. And if you were a commoner in the colonies you also didn’t use the Crown’s post, you handed your message to a traveler and asked them to take it as far as they could and then pass it on. 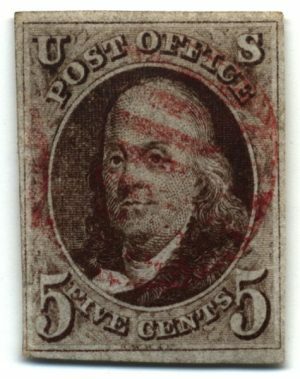 Benjamin Franklin, one of the early postmasters for the Crown, traveled to every colony to make improvements in the system. As he did so, he began to see the colonies differently. In 1754, at a meeting of colonial representatives in Albany, New York, Franklin proposed a plan for uniting the colonies and electing their own representatives rather than having them appointed by the Crown. Franklin’s idea didn’t go anywhere at the time. Twenty years later, ideas about American self-governance were spreading, and revolutionaries in the colonies knew they would need something other than the Crown’s post (which could be intercepted by England) to communicate. In 1774, these American revolutionaries created the “Constitutional Post.” Before they had a Declaration of Independence or fought the revolution, before their was a constitution, Americans had the post. After Americans gained independence from England, founding fathers, (particularly Benjamin Rush), believed the key to sustaining democratic institutions was a literate population. Rush believed the way to achieve this was to circulate newspapers to every American. In 1792, the Congress passed the Post Office Act. New routes were established, and all newspapers could be mailed at the same low rate. This set off an explosion of new newspapers from all sorts of political viewpoints. The post office was the main way, sometimes the only way, people got information. It was the media. The post office also served as a stimulus for the growth of roads and infrastructure. 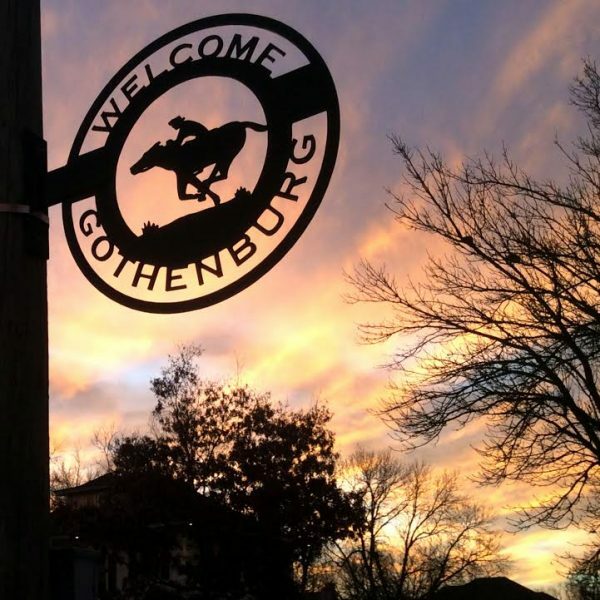 Often the first action that settlers took in a new community was to petition for a post office. Roads and other services followed. In 1831, Alexis de Tocqueville toured the country and was amazed by the postal system. Even in the most isolated parts of the American frontier he found people who had read newspapers and could talk about politics in America and Europe. Until the mid-1800s, newspapers were the primary delivery product of the postal service. Letters were expensive to send and the revenue from sending them kept the rates low for newspapers. Furthermore, the person receiving the letter, not the sender, paid the cost of postage. Eventually a movement for cheap postage began to form, growing from the idea that people ought to be able to send letters anywhere in the U.S. for one low price using a new tool: the prepaid postage stamp. 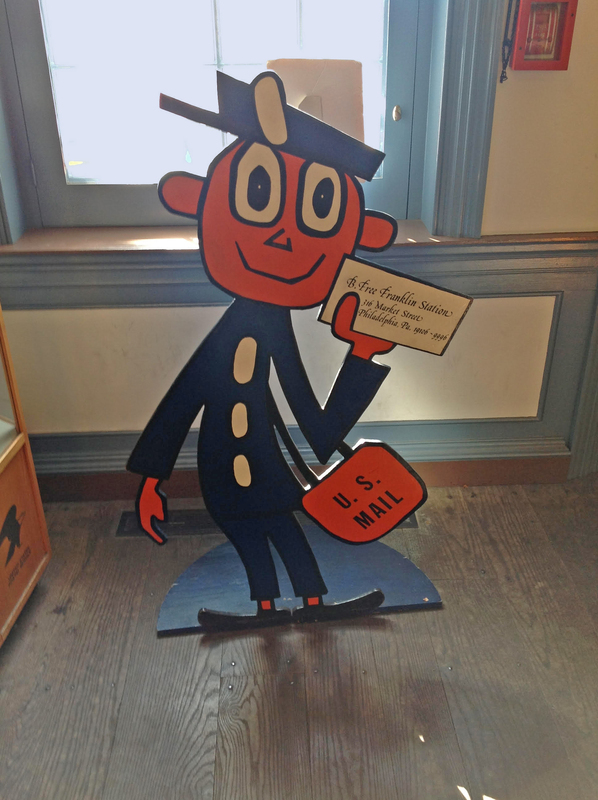 In the mid-1800s the postage stamp allowed regular people to send letters, and it created a letter writing boom. Women in particular became avid letter writers. As more women began using the post office, the place itself began to change. Post offices had historically been social spaces for men where it was not uncommon to find liquor, prostitutes, and pickpockets. 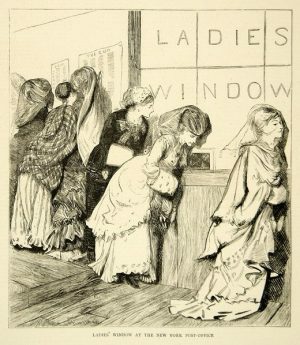 Eventually, post offices added special “ladies windows” so that “ladies” could pick up their letters without coming into contact with these unseemly elements. Slowly post offices transitioned into more professional spaces. By 1860 there were some 28,000 post offices in the U.S. People were sending thousands of letters and (newly invented) “greeting cards” to each other. But they were also using the post, just like the founders intended, to disseminate political information. Abolitionists, for example, were using the mail to spread ideas about ending slavery. In the 1860s, when the Civil War was fought over some of those very ideas, the American Post office would bifurcate for a time—no mail would be sent between north and south. The Civil War also brought about home delivery service so that people would not have to receive bad news (like the death of a loved one) in public. Meanwhile, as the East Coast experienced a letter writing boom, Californians felt isolated. 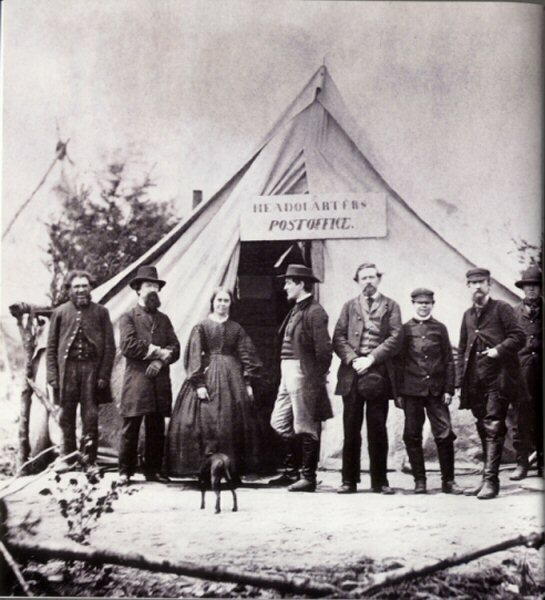 By 1857, the post office had a fairly reliable route across the country, but it still took twenty-five days. A businessman named William Russell thought he could do better, so he started the The Pony Express. The company’s relay of riders mounting fresh horses every fifteen miles cut the journey time to ten days. It was a very expensive endeavor, and lasted only a year and a half, which was okay, because both telegraph service and trains would soon reach the west coast. Trains would eventually deliver the mail all over the U.S., and not just deliver it, but become moving post offices, sorting and processing the mail along the way. 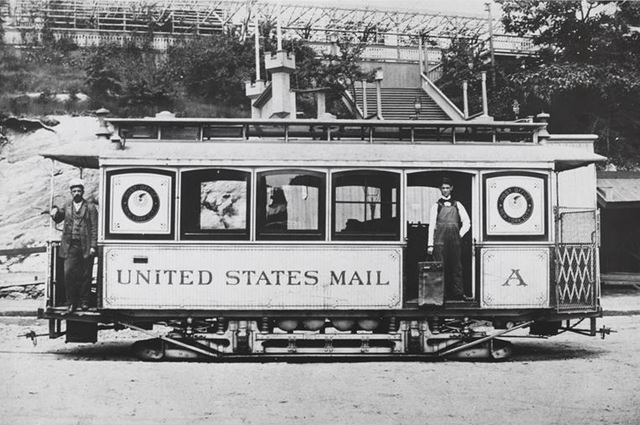 Trains revolutionized the mail, but mail also revolutionized trains. Subsidies from the post office allowed the rail system to expand, just as these postal subsidies would advance the aviation industry after World War I. If the post office truly created America, it’s now playing more of a supporting role. In the last forty years or so, Congress has cut back considerably on its support. This, along with the revolution in digital communications and the growth of private competitors has meant a reduced role for the U.S. Postal Service. Despite these changes, the postal service still plays a major role in American society. Unlike private competitors Fedex and UPS, the US Post Office cannot pick and choose where they deliver based on profit. 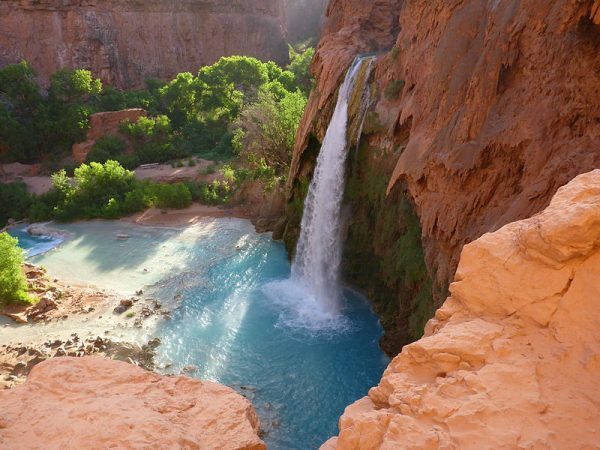 It is obliged, by law, to provide daily pickups and deliveries to every community in the country, even if that community is located in the bottom of the Grand Canyon. Mr. ZIP (AKA Zippy) at the B. 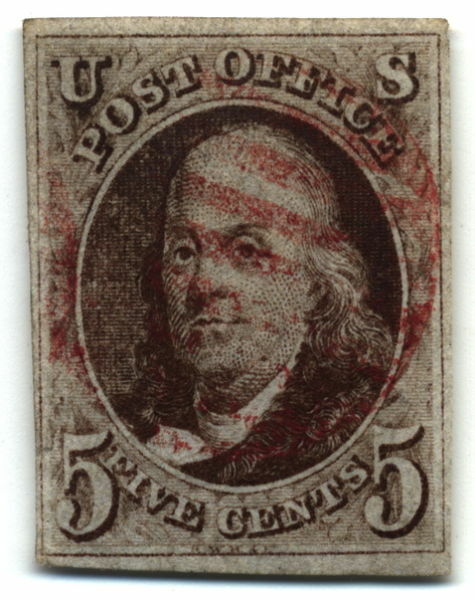 Free Franklin Post Office in Philadelphia. This character was created to encourage people to include ZIP codes on envelopes. Image by Michelle Loeffler. 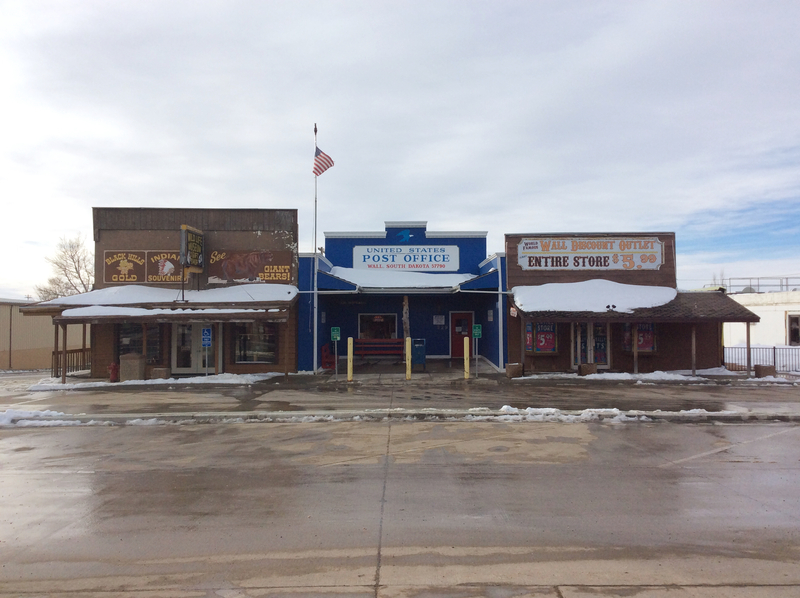 Host Roman Mars and producer Katie Mingle spoke with Vivian Campbell, Postmaster of Peach Springs Arizona and Winifred Gallagher, historian and author of How The Post Office Created America: A History. This was an interesting story, as always – but I found your confusion between England and Britain really distracting. The “English monarchy” you are referring to has been, since 1603, a British monarchy. England then ceased to exist as a separate state in 1707. To say that “Americans gained independence from England” is just factually incorrect. Seriously, saying “England” when you mean Britain or the UK is like saying “California” when you mean the whole USA. I’m not sure why that should be confusing. Having lived in a village with a winter population of ~200 people where the post office was the hub of village life I really appreciated the show! One bit of historical accuracy…there was a note around 3:00 in about the north-south distance in the colonies saying “from New Hampshire down to Georgia”. At that point the distance was technically “Massachusetts down to Georgia” because the Massachusetts colony included a large chunk of what is now Maine. When I was a kid I thought it was weird that the area of southern Maine I grew up in had once been “in” another state that wasn’t even connected on the map (because New Hampshire was in between), it helped spark a lifelong fascination with maps. Thank you so much for this story! 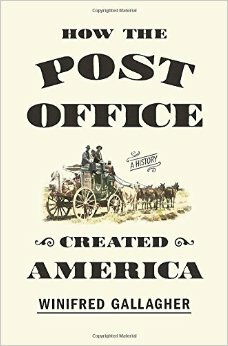 I wrote my thesis on this subject and I’ve found that very few people know the full history of our postal system or the tremendous influence it has had on our country. Access to newspapers and mail delivery has been and will continue to be a social equalizer. Great story! I love the USPS, I’m very grateful to all of the employees who keep the USPS functioning. Logistics are fascinating. I really liked this story! My great-great-great-grandfather was the first postmaster in Emery County in rural central Utah, and his daughter was his assistant. 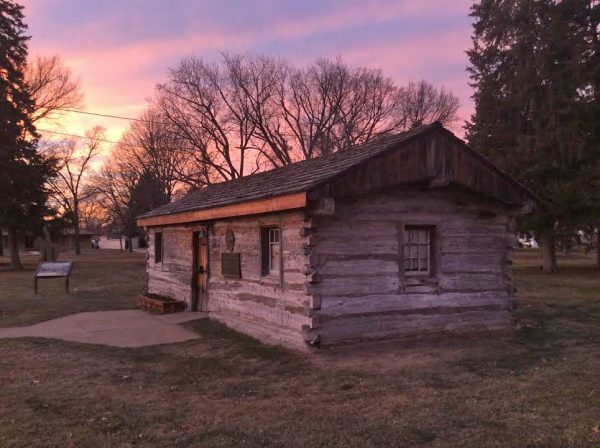 Their home, a very small cabin, was the first post office. The cabin is still standing, but has been relocated to This Is the Place Heritage Park in Salt Lake City. I’ve seen it, and it is TINY.